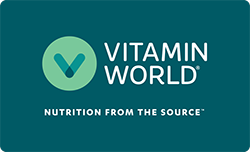 At Vitamin World, there’s a world of possibility that is unbound by borders. Providing customers with the highest quality supplements has been our goal since 1977. Today we have grown to serve over 140 countries around the globe. No matter where you are, allow us to introduce you to your inner wellness.